Using journal prompts is one of the most effective ways to get the most our of your journaling practice. 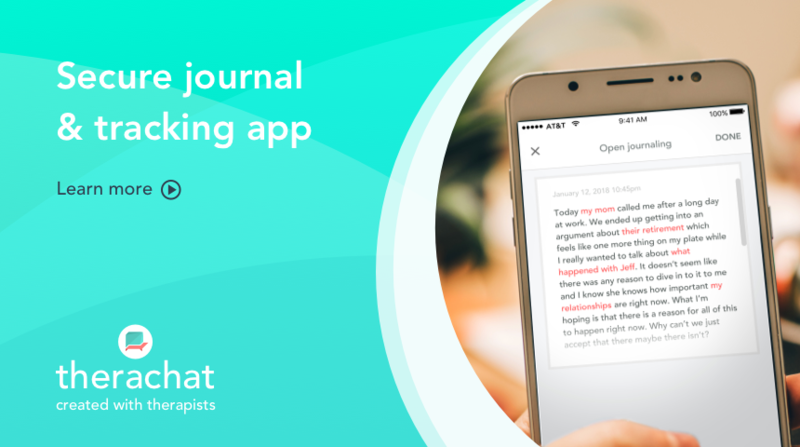 The use of prompts is becoming more common with journal users to express their emotions, situations and thoughts. Normally with journals, you would start your entry adding to what happened in the day, how you are feeling, what elements in your day sprung surprises and any other aspects on your mind. For both therapeutic use and personal reflection, the journal can help us understand more about ourselves as well as the progress we’re making. Have you ever considered journaling about specific areas to keep track of your progress? We wanted to create a list of 50 useful journal prompts in specific areas to help you whether you are just beginning journaling or are familiar with it, but can use some inspiration. All these journal prompts can be used no matter whether you journal on paper or digitally. Let’s share the best journal prompts to get the ball rolling! 1. Did I eat well today? Writing down what you ate during the day can help to provide insights into your energy levels and how to improve them. 2. What exercises did I do today? Exercises provide positive blood flow and help reduce stress. This journal prompt keeps you aware of the importance of exercise on a regular basis. 3. Did my body feel energetic today? Asking yourself this will help to determine whether your mood is affected by your energy levels. Practicing a habit like this can help you reduce stress and reviewing whether you did, will turn it into a positive routine. Investing time into the people around you is something us, humans, do very well. Relationships can be rewarding and enjoyable, other times, they can be stressful. Capturing how you feel about people can help to reflect on how to make each relationship better. 5. Who did I see today? And did we get on well? Who you see will determine your mood, but taking note of who made you feel special or important will help towards improving your gratitude. 6. Did I call or speak to family/friends today? Making sure you keep in touch with your family and friends can really help you feel better. Taking the time to drop them a message or a call will help massively. 7. Who left me feeling distressed today? And why? Sometimes things don’t get too well with relationships and other people, but working out what happened and how it could be avoided next time will only help and allow reflection. 8. What could I have done better today with others? Relationships can always be improved on. Evaluating how you can improve the time spent will improve the next encounter. 9. Who made me feel special today? And why? Making note of the memorable interactions with family and friends is a perfect way to recap on your day. Want more journaling prompts? FREE long read! We created a long read on journaling with 50 useful prompts. Get it FREE in your mailbox! Money is one of the most stressful elements of life. Achieving financial independence is many people’s goal and keeps them up at night. What are you doing to work towards this? This is where money-related journal prompts can come in handy. 10. What is my current status on finance? Finances can be a real worry for most people, taking control of how much you have and the situation at the end of every day can help towards a healthy relationship with money. 11. Did I buy anything I didn’t need today? Aiming criticism at what you spend your money on can really help you to save money. 12. What three reasons made me spend money today? Determining what made you spend money during the day will give you insight into the motivators to spend money. 13. What concerns do I have right now about money? Keeping track of what issues you have right now and the progress on each of these will help. Progressing with work is important for many people who enjoy their career. Reflecting on the highs and lows of the day can really help to make better decisions and act on what matters to you in a proactive manner. 14. What were my work goals today? And did I achieve them? Career progression might be one of your long-term goals, so the small habits and successes matter. 15. What problems did I come across today? And how did I solve them? Reviewing mistakes and problems during the day will help to conquer them with more confidence next time. 16. What are the key lessons from my work day? Taking in all of the lessons and takeaways from the day to apply to your future is a good entry to keep track of valuable lessons learned. Evaluating your future decisions in your journal can be an effective way to plan ahead, creating the best possible environment to walk into. Your actions and habits today will determine your future results, so keeping a tab on this is very important to succeeding with your own goals. 17. Which goals do I have for the future and what am I doing to get there? The best way to work on your future is by determining goals and actions to reach to those goals. 18. What things do I see getting in the way of long-term growth? In the busyness of the day, we sometimes avoid the important decisions and discussions. This journal prompt is a great way to reflect about your distractions that are hindering your growth and coming up with strategies to avoid them. 19. What sort of person do I want to be tomorrow? Seeing how you’d like to behave tomorrow can help you to become a better character, improve your judgement and decide on the actions to take. 20. Which positive habits will I adopt next week/month/year? Taking actions on positive routines will make you a better and happier person. Planning those out, might help you stay on track. 21. Which books/TV programme/film inspired me today? You may have been influenced by a motivation segment in a movie or even a podcast, making note of how this made you think about the future or your own efforts can really help. What you can become is often determined by how you perceive yourself. Making the most of these prompts to ask yourself important questions can be the answer for your future success. 22. What did I do towards my day/week and month goals? Setting goals for your day, week and month is a helpful way to determine whether you lived up to your efforts and made progress. 23. Did I procrastinate today? If so, how? Reviewing your procrastination can help you reduce poor decisions and improve your focused work. 24. What things were not important today? Sometimes we all are unsuccessful in an endeavor or deem something more important than it actually is. Making sure we’ve determined what that is, will help us deal with it better in the future. 25. What can I do tomorrow to improve my future? Whether you list 3 items or 10 items, making sure you’re able to see where you can take small steps to be the person you want to be will help you. How Can I Use These Journal Prompts? Excited about getting started with these journal prompts? You can use a range of tools, but our recommendation is Therachat, a free, mobile journaling app for iOS & Android. It doesn’t end here… 50 journal prompts directly in your email! Enter your email address to get a long read on the benefits of journaling, how to get started and 50 useful journaling prompts directly in your mailbox! We will never sell your data or send you unwanted posts.